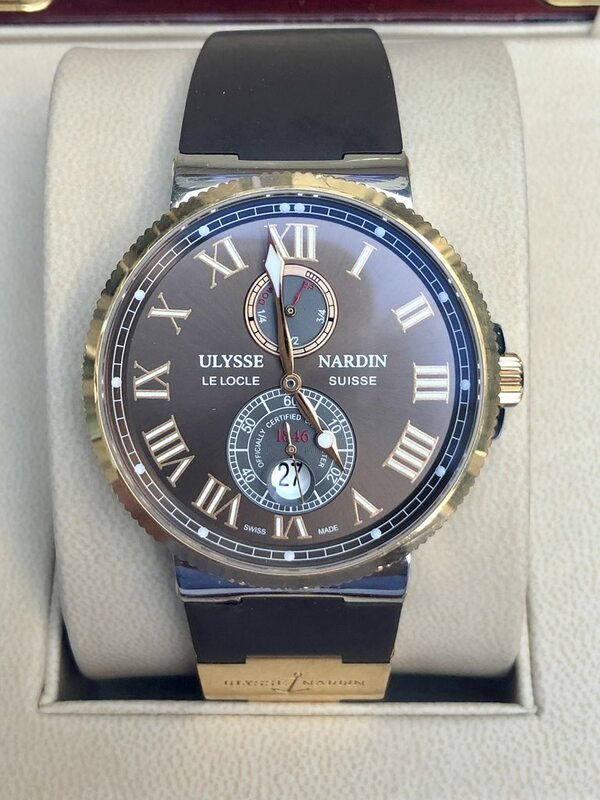 Selling my mint condition Ulysse Nardin Marine Rose gold and steel. 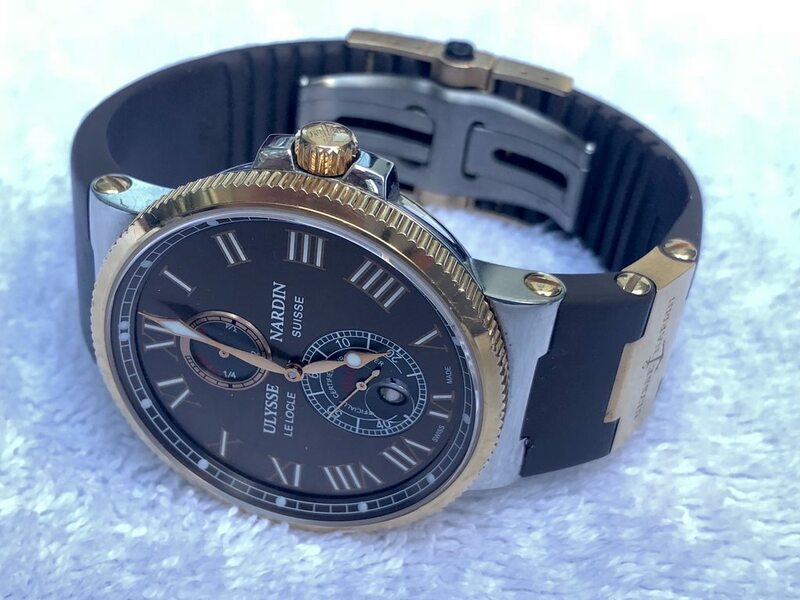 The Marine model of the Ulysse Nardin line is one of the most sought after models. 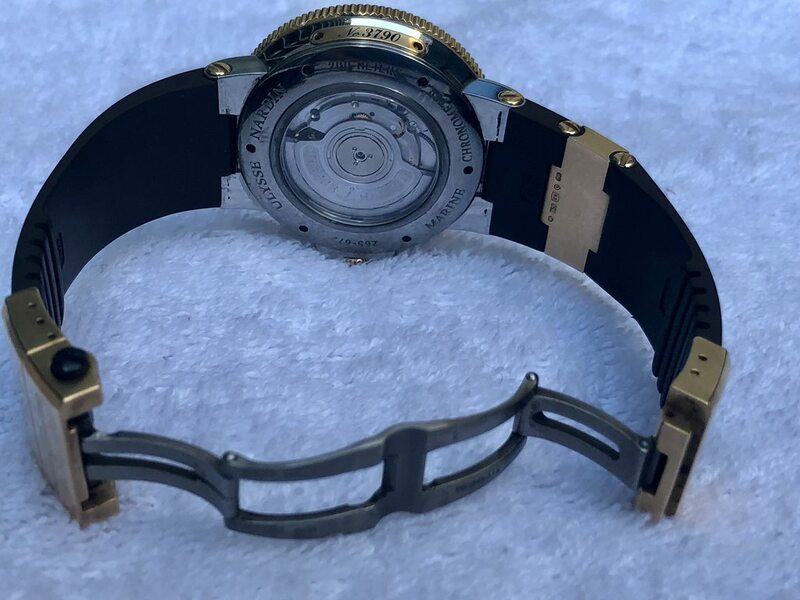 The rubber band is in great condition and comes with the deployment clasp on rose gold making the timepiece a really comfortable piece to wear. This piece is is MINT condition = 98% and comes with triple boxes, booklets, instructions and warranty card. 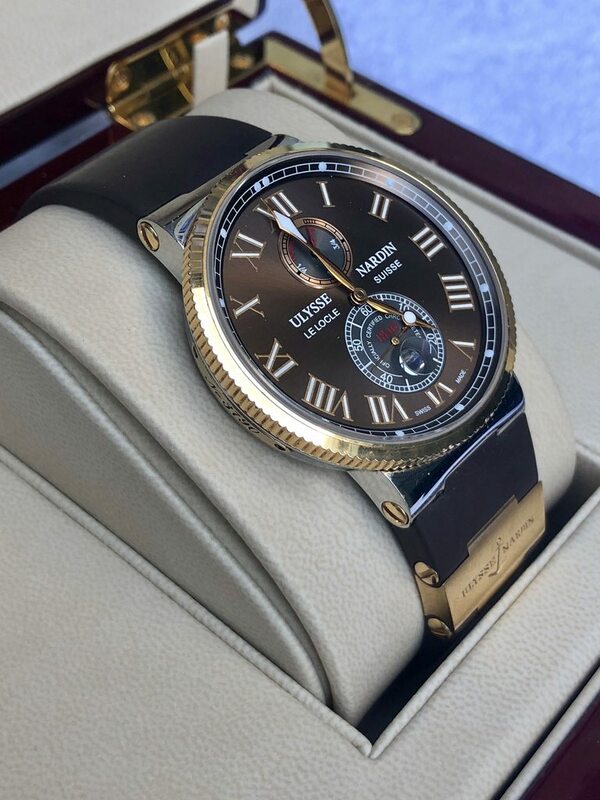 You won’t find another marine rose gold and steel at this price. 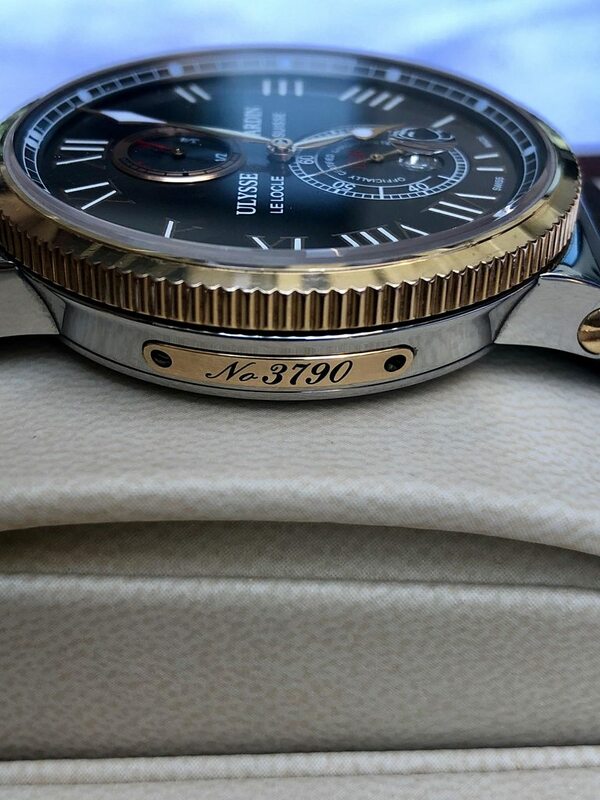 The timepiece has a 42 hour power reserve which can be seen at the top of the 12 o’clock sub dial, a feature that is a handy to track how much power reserve your timepiece has left, besides the chocolate dial against the rose gold bezel gives it a dressy yet boss feel. 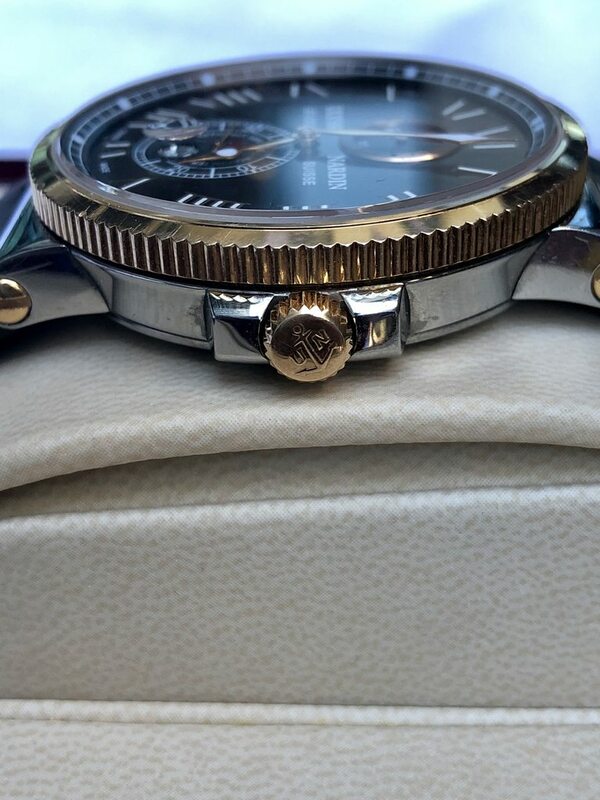 I have plenty of references of folks of done business with previously on the watch forums, eBay, enthusiast groups, offline, etc. happy to provide those to any buyer and will answer any questions. I ship priority insured within the Continental US and Canada. 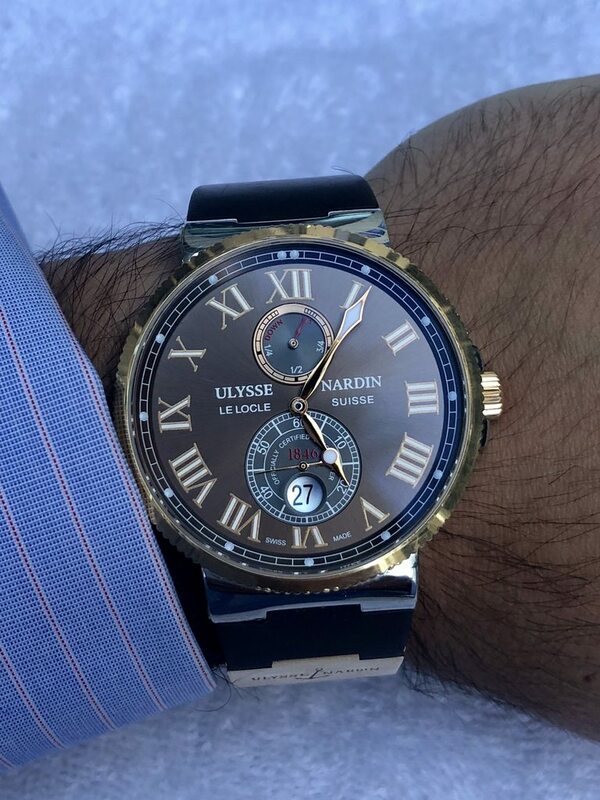 Please find more details about this Ulysse Nardin below. I'm asking $8000 wired or Paypal (add 3%) to clients with confirmed address and impeccable references. Shipping is included. 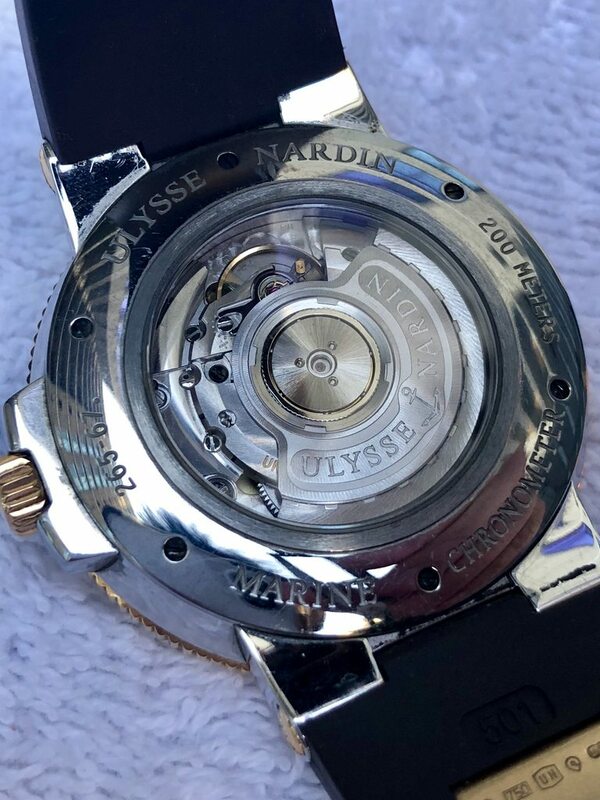 I am a watch collector and I am not affiliated with Ulysse Nardin in anyway. 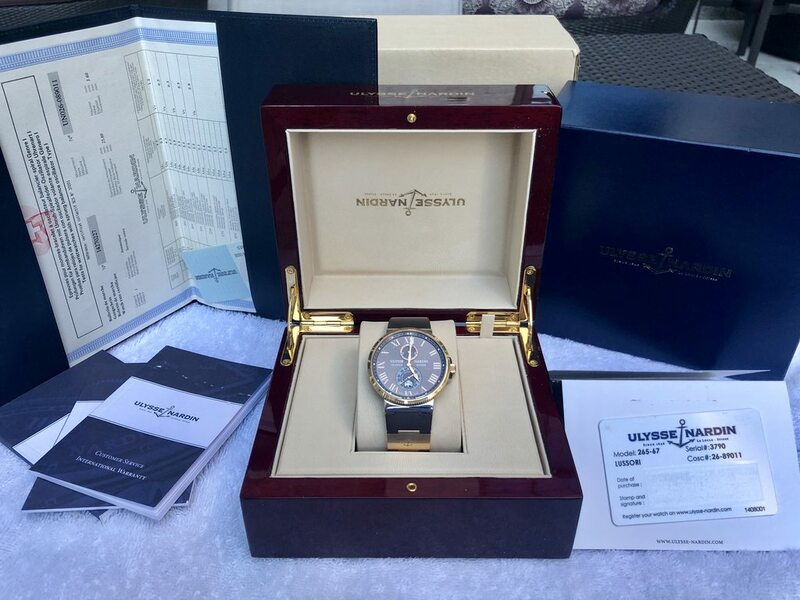 All my watches comes from various members and clients in the US. 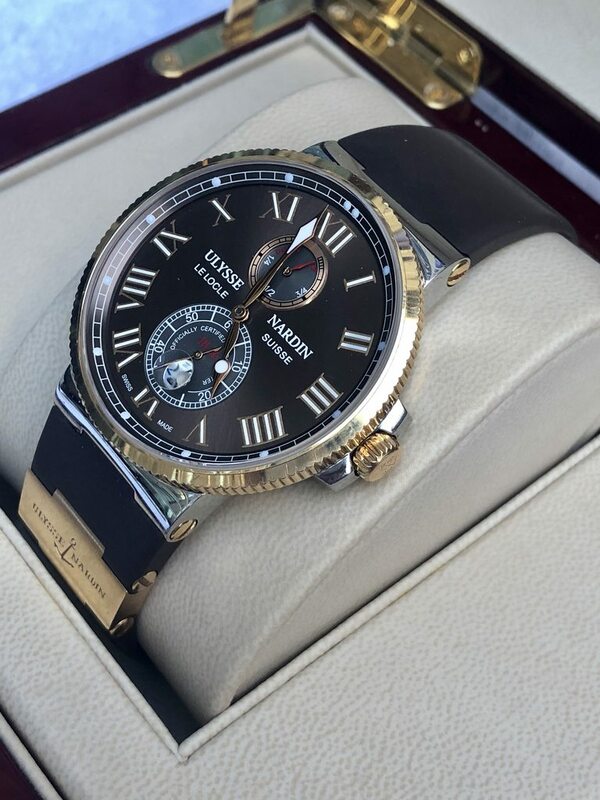 All my watches are guaranteed authentic and I stand by its Authenticity.